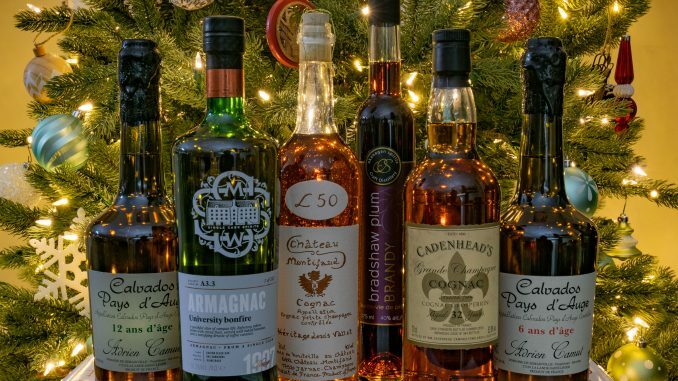 Join us for some holiday spirits with our third December tasting featuring cognac. This year we’ve included a chocolate pairing, and fruit brandies to round out the flight, including a delicious selection from our friends at Okanagan Spirits as well as a vertical tasting of two apple brandies from a classic Pays d’Auge calvados producer. We’re proud to offer a wide span of hors d’âge cognac and armagnac ranging from 19 to 50 years of age including two cask strength cognacs (not often seen in commercial releases). As always, Andrew and Stephen will be on hand to provide some of the history, geography, and production nuance behind this ancient group of spirits as we wind our way through France.